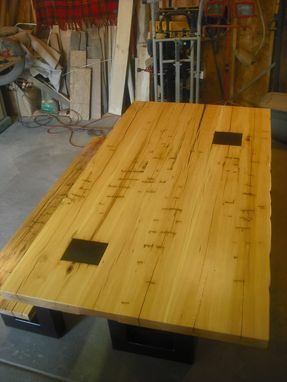 This incredible table is made from 100+ year old hand hewn elm. The wood has been planed down some and cleaned up but retains all of the character from when it was originally shaped. The deep voids in the table have been filled with a non-toxic epoxy so that the table is easy to use and clean. In the sections where pockets had been carved steel plates have been inset to level out the table surface. The bench was made from the same boards so the wood matches perfectly. 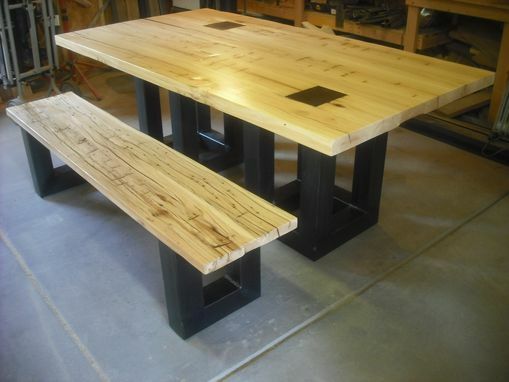 The legs for the table are made from mild steel 4" square tube. 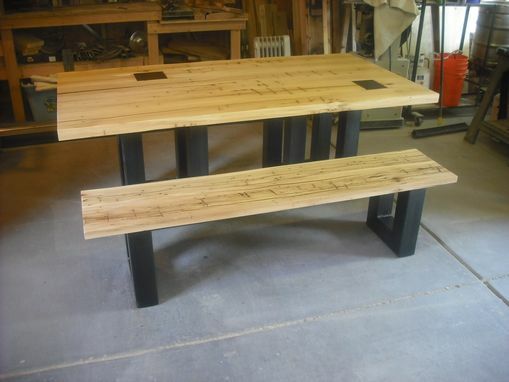 There are two main pillars below the table and two U shaped legs for the bench. 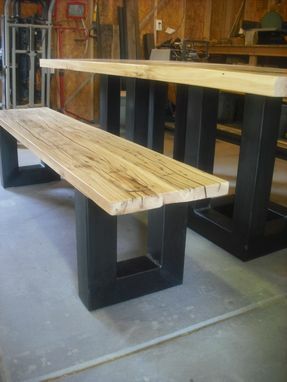 The metal retains it's mill finish providing an industrial contrast to the natural top. The table top is finished with a semi-gloss finish made from cheese making byproducts called PolyWhey, which is both non-toxic and durable. The legs are sealed with a satin lacquer to seal the raw metal. 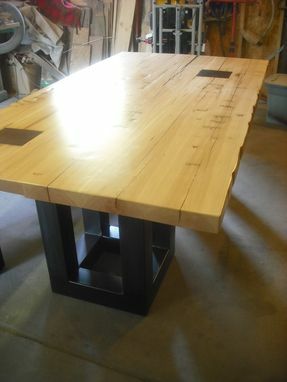 The dimensions of the table are 74" long, 36" wide, and 30" tall. 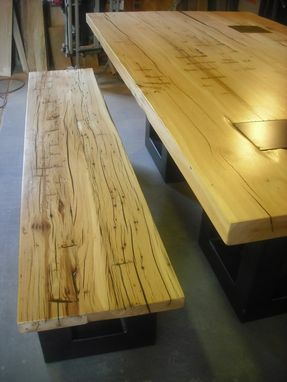 and the bench is 60" long, 16" deep, and 18" tall.